We offer complete solutions for all your printing needs. Network Printing Studios can provide all your corporate printing and marketing solutions. We offer you high-end specialty processes, premium materials and an outstanding graphic design team. You will have access to the optimum products, state of the art equipment and most extensive customer service of any print company. We invite you to experience our quality, care and creative flair first-hand. Contact us today on (02) 8399 2444 for an obligation free quote. Our complete end-to-end solutions include Print Management, Online Ordering, Offset and Digital Printing, Finishing and Binding, Warehousing and Logistics, Kitting and Packaging, Mail Fulfilment and Distribution, Graphic Design and Pre-press. Network Printing is a privately-owned and operated family company whose staff have been handpicked for their expertise. Network Printing was established in 1975 and has increased in size more than 10 fold, making us one of the most reputable printing companies servicing the Sydney metropolitan area. We offer our customers the most modern equipment available for full colour printing, computer to plate technology and we are capable of both long and short run work. Whether it be black and white or 1,000,000+ full colour brochures your job is printed at the highest possible standard. Conveniently based just 10 minutes from the Sydney CBD in Alexandria, we are ideally located to service all businesses in the CBD and surrounding areas. Our clients include small, medium and large businesses, charities, government departments, schools, universities, NFP's, major multinationals and nationals, healthcare groups and professionals. Whatever you need for your business we can print it for you - from business cards and corporate stationery through to magazines, catalogues, brochures and books. Even clothing, signage, POS and promotional products are easy for us to create for you. We can help you with all your corporate printing and marketing solutions. Magazines, Brochures, Flyers, Corporate Stationery, Business Cards, Books, NCR Books, Reports, Catalogues, Packaging, POS, Marketing Collateral, Promotional items, Banners, Signs, Clothing, Posters, Postcards, Cards, Labels, Tickets and much more. Anybody can put ink on paper - it's the service that surrounds the printing process that makes the difference and this is where our committed team excel. 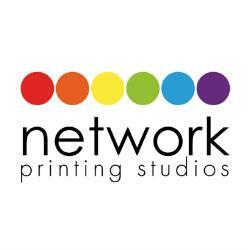 Everyone at Network Printing Studios will focus on helping you to create the perfect end product to help you and your business succeed. We strive to have as little impact on the environment as possible. You can be assured that you are contributing to a healthier environment by working with us. Visit our website to find out more on our sustainable printing practices. Products Carried: NETWORK PRINTING STUDIOS’ PRODUCTS Magazines, Brochures, Flyers, Corporate Stationery, Business Cards, Books, NCR Books, Reports, Catalogues, Packaging, POS, Marketing Collateral, Promotional items, Banners, Signs, Clothing, Posters, Postcards, Cards, Labels, Tickets and much more.